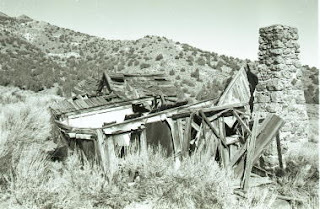 In 1984, Belgian artist Charles Albert Szukalski found the Nevada ghost town of Rhyolite. 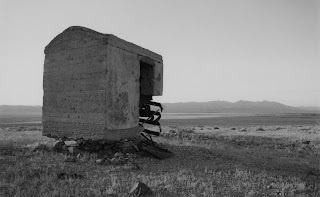 A well known artist in Europe, he was attracted to the area's open desert landscape. He decided to move to nearby Beatty and began fashioning a life-size plaster and fiberglass version of Leonardo Da Vinci's famous "Last Supper" painting. Using shrouds covered with the plaster mixture, he crafted a ghostly re-creation of the work. The work was built atop a hill overlooking the town but within a short time vandals destroyed several of the figures. 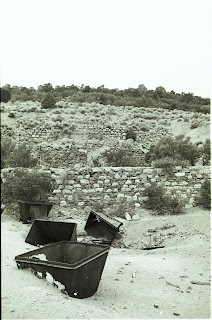 Szukalski decided to purchase eight acres on the edge of Rhyolite and relocated the figures to his property. He restored the work and added other sculptures, such as “Ghost Rider,” a shrouded ghost figure holding a bicycle, as well as “Desert Flower,” a twisted mass of shiny chrome sprouting from the ground. He invited other artists to join him to create an outdoor gallery on his property. Within a few years, Szukalski’s pieces had been joined by Andre (Dre) Peeters’ “Icara,” a giant wooden sculpture based on the Greek myth about Icarus, and Fred Devoets’ “Tribute to Shorty Harris,” a large metal outline of a prospector and a penguin. The latter is said to have been included because the artist felt out of place in the desert—just as a penguin would. 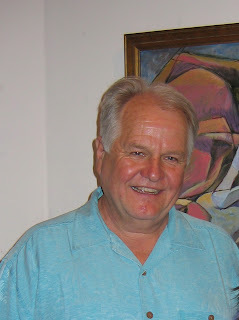 Following Szukalski’s death in 2000, his outdoor art garden and land was donated to a non-profit organization, the Goldwell Open Air Museum (www.goldwellmuseum.org), to maintain the pieces and develop art programs. The museum is located about 4 miles west of Beatty, on the road leading to Rhyolite. It's all pretty surreal and interesting. Check it out. In recent years, Nevada officials have created “the Loneliest Road in America” (U.S. 50) as well as the “Extraterrestrial Highway” (State Route 375). The designation recalls an old custom when Nevada’s highways were named, not numbered. During the early part of this century, highways, and their colorful names, were promoted by private auto clubs and car manufacturers that helped build the roads. In the 1930s, however, highway names were thought to be too confusing, so federal officials introduced numbered routes. The following are some of the more descriptive names once given to Nevada’s highways. So head out on one of those roads with a boring number--such as U.S. 6--roll down the window, and think back to the time when you would have been cruising the Grand Army of the Republic Highway. 2. Victory Highway: A rival of the Lincoln Highway, the Victory Highway, as it was named after World War I, largely followed the Emigrant Trail through Elko, Winnemucca, and other Northern Nevada towns. Later called U.S. 40, the Victory evolved into Interstate 80. 3. Three Flags Highway: This north-south arterial followed present-day U.S. 395. The name referred to the fact that the route passed through three countries—Canada, the U.S., and Mexico. 5. Grand Army of the Republic Highway: In the mid-1920s, this elegant title, honoring the Civil War-era Union Army, was bestowed on the byway that crossed the state from the California border near Boundary Peak to the Utah line near Baker. The route is today’s U.S. 6. 6. 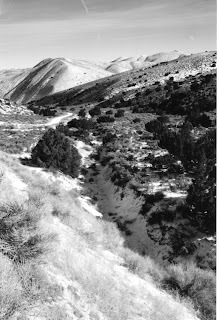 Bonanza Highway: Meandering along Nevada’s western edge, this roadway followed most of today’s U.S. 95. 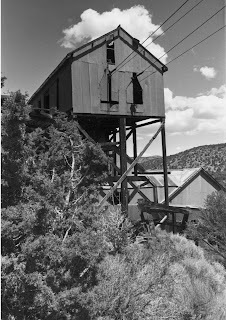 The Bonanza was so named because it passed through many mining towns, including Tonopah and Goldfield. 7. International Four States Highway: Quite a mouthful, this name was given to the Eastern Nevada route that is now U.S. 93. The road, also called the Pan-Pacific Highway, weaved 1,500 miles through Montana, Idaho, Nevada, and Arizona. 8. Arrowhead Trail: Crossing Southern Nevada, this highway generally followed what was later known as U.S. 91 and now Interstate 15. 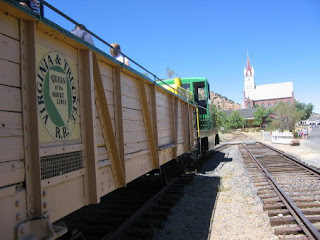 Conceived by Las Vegas promoters, it was built by volunteers and supported by chambers of commerce in towns along the trail. 9. 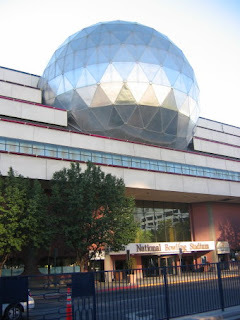 National Shortcut Highway: The name said it all. This highway provided a direct link between Omaha, Nebraska, and Las Vegas. Like the Arrowhead Trail, it followed the path of today’s I-15. 10. Winnemucca-to-the-Sea Highway: In the 1960s, Winnemucca citizens revived the custom of naming roads when they gave this sobriquet to the completed highway, via State Route 140, from Winnemucca to the coastal town of Crescent City, California. In commemoration, a sizable redwood-tree slab stands in front of the convention center where the Winnemucca-to-the-Sea route meets the old Victory Highway. I've always enjoyed those catchy, sometimes-clever slogans that cities use to distinguish themselves. For instance, Gilroy, California is the "Garlic Capital of the World" while Chicago is "The City with Big Shoulders." Over the years, Nevada's cities, too, have adopted various colorful slogans to help set them apart from other communities. 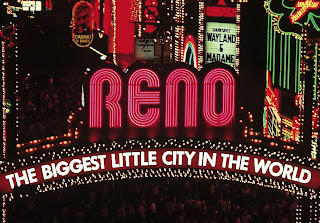 Undoubtedly the most famous is Reno's "Biggest Little City in the World" slogan, which has appeared on several different archways spanning Virginia Street, starting in 1929. While the art of sloganeering seems to have dried up the following are some of the more interesting town slogans used over the years in the Silver State. "Cattle Kingdom in the Copper Hills" - This descriptive phrase was used to promote the Western Nevada city of Yerington for several decades. It said everything you needed to know about Yerington, namely that it was a cattle-raising area that also had a thriving copper mining industry. A classic billboard, which carried the slogan, stood at the entrance to the town from the 1960s to the early 1990s, when it was, sadly, destroyed in a wind storm and not replaced. "America's Valley of the Nile" - The Northern Nevada community of Lovelock used this unusual claim during the 1930s. It meant that the Lovelock, despite sitting in the desert, was an agricultural mecca—ala the real Valley of the Nile in Egypt. Additionally, one of the area's largest ranches was the Nile Ranch—so it was intended as a kind of play on words. "Rose City of the Silver State" - Caliente in Eastern Nevada began using this nickname after World War II when residents planted rose bushes throughout the town to honor fallen veterans. A Rose Memorial Park was established, which is still maintained by the town. "Gateway to Hoover Dam" - Just as Reno had its famed arch, in the mid-1930s, Las Vegas' Fremont Street was home of an arch that carried this proud claim. The slogan was concise and direct. 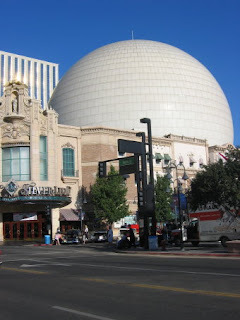 "City of Destiny" - Las Vegas has always reinvented itself and from 1937 to 1938, this slogan found its way into the city's promotional efforts. It meant that Las Vegas was a city on the move—progressive, growing and dynamic. It could still be used today. "Still A Frontier Town" - In the late 1940s, Las Vegas embraced this term, which appeared on postcards and advertisements. The slogan reinforced the modern-yet-western image the city had adopted, which was best seen at resorts such as the western-themed New Frontier and El Rancho. 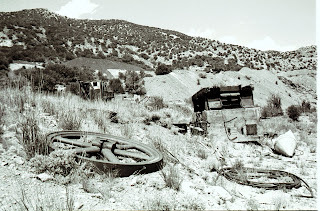 "Chicago of the West" - In the early part of the 20th century, the tiny Southeastern Nevada community of Beatty was frequently referred to by this name in newspaper reports because, as the gateway to the booming mining town of Rhyolite, it was served by three railroads. 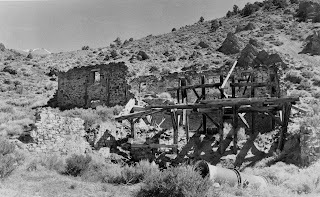 "Pittsburgh of the West" - In the 1880s, the Central Nevada mining town of Eureka was graced with this less-than-flattering description because of the presence of many smoke-belching mills. The town's poor air quality is a reoccuring theme in many newspaper accounts of that era. "Loneliest Town on the Loneliest Road" - Showing that the fine art of inventing slogans isn't completely gone, in the 1980s, Eureka (formerly only known for its Pittsburgh-like bad air) adopted this phrase to capitalize on its location on U.S. 50, which is known "the Loneliest Road in America." The slogan appears on billboards outside of the town and in promotional advertising. It appears to have worked since the town hasn't seemed too lonely recently. Following the distinctive blue line that marks Carson City's Kit Carson Trail, one can't help being impressed by the richness in design and architecture found in the community's historic buildings. Several years ago, Carson City initiated an innovative promotion called the Kit Carson Trail, which encourages people to follow a 2.5 mile trail, marked on sidewalks with a blue line, through the city's most historic neighborhoods. 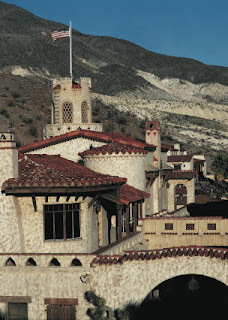 The second half of the trail includes many of the most historic and prestigious houses and structures on the tour. One noteworthy home is the T.B. Rickey house (512 Mountain), which predates the adjacent Governor's Mansion by nearly 40 years. The original portion of this brick and white wood home was built in 1870 by a local banker, who later donated the land for the Governor's Mansion (built in 1909). 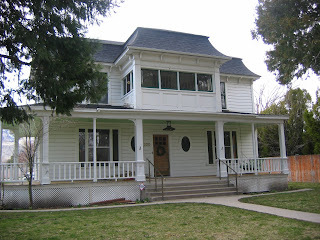 Nearby is the Krebs-Peterson House (500 N. Mountain), a classic Victorian built in 1914 by Ernest Krebs Sr., a prominent surgeon, and owned later by State Controller Edward Peterson The two-story home was prominently featured in the movie, "The Shootist," which was actor John Wayne's last movie. A half block south is the Sadler house (310 N. Mountain), built in 1878. Originally owned by Edward Niles, paymaster and ticket agent for the Virginia & Truckee Railroad, this elegant house was later owned by Reinhold Sadler, Nevada's governor from 1896 to 1902. A few blocks away is the Stewart-Nye residence (108 N. Minnesota), built in 1860 for William Morris Stewart, first U.S. Senator for Nevada. 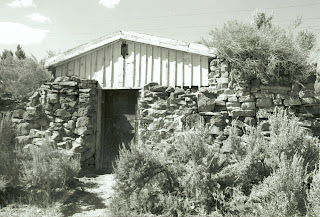 The sandstone home was sold in 1862 to James Nye, who served as Nevada's only Territorial Governor. Today, it serves as offices for a local law firm. Another impressive sandstone building is the two-story Edwards House (204 N. Minnesota). Built in 1883 by Thomas Edwards, the home was reputedly constructed by state prisoners, causing a scandal. Despite the allegations of impropriety, Edwards had served as sheriff and county clerk, and later a U.S. Commissioner and clerk to the U.S. District Court. Note the unusual two-story bay windows. Two fine examples of early 20th century architecture are the multi-gabled Springmeyer house (302 N. Minnesota) and Dr. S. Lee home (304 N. Minnesota). The former was constructed by H.H. Springmeyer in 1908, then was home to former Governor Charles Russell and his family from 1960 to 1975. The latter was built in 1906 by a local surgeon. Of particular historic significance this year is the G.W.G. Ferris house (311 W. Third), built in 1869. This home was built by famed agriculturist George Washington Gale Ferris, who resided there for many years with his son. The latter went on to invent the Ferris Wheel. The former Carson Brewing Company building (449 W. King), built in 1864. 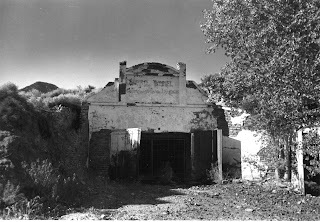 This fine brick structure was home of "Tahoe Beer" for nearly a century and once housed the Nevada Appeal's offices. Today, it is home of the Brewery Arts Center. 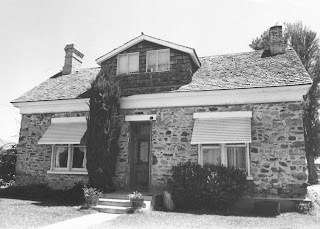 The Roberts House (1207 N. Carson), built in Washoe City in 1859, then moved on railroad flat bed to Carson City in 1873. The Carson City Auditorium (813 N. Carson), built in 1939. 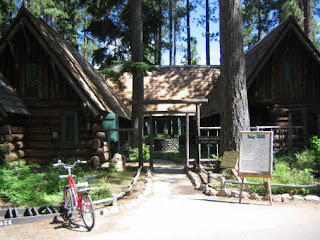 This WPA project served as the library and community center for many years and is now the Children’s Museum of Northern Nevada. The St. Charles-Muller Hotel (302-304 S. Carson), built in 1862. The hotel was originally the main stage stop in Carson City and one of the state's most elegant hotels. It is also one of the oldest commercial buildings still in use in the city. 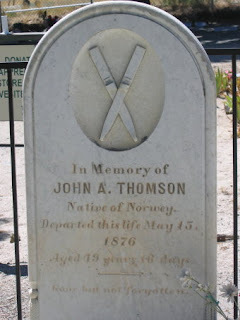 For more information on the Kit Carson Trail, contact the Carson City Convention and Visitors Bureau, 1-800-NEVADA-1. 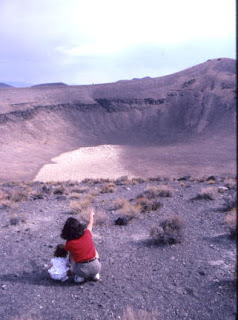 Lunar Crater does have a connection with outer space. In the 1960s, Apollo astronauts trained in the 140,000-acre area, which does look like a moonscape, in preparation for a lunar landing. More recently, scientists have tested remote sensing and other technologies for use on future Mars explorations.